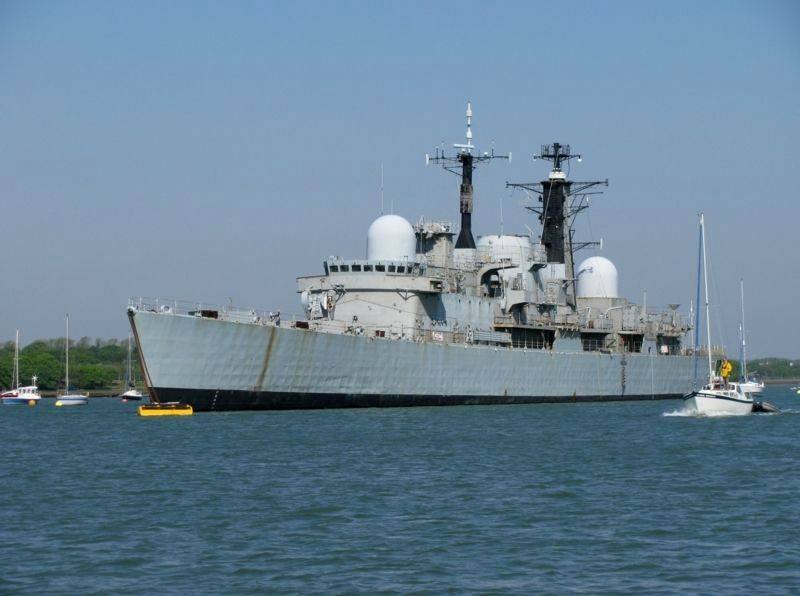 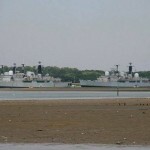 Today in Gosport’s Past:- on 7 January 2009, Class 42 destroyer HMS “Glasgow” was towed out of Portsmouth harbour for scrapping in Turkey. 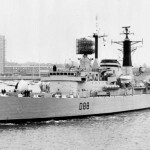 HMS “Glasgow” (D88, and the 8th RN ship to carry the name) was the last of Batch 1 of Class 42 destroyers, built at Swan Hunter’s Shipyard at Wallsend, on the Tyne; launched on 14 April 1976, and commissioned on 25 May 1977. 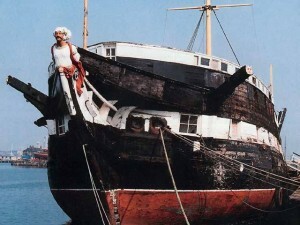 During fitting out, a fire on board on 23 September 1976 broke out, in which 8 men were killed, and 6 were injured. 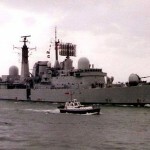 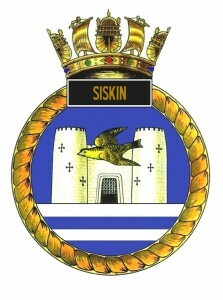 The ship saw action in the Falklands conflict, being one of 5 Type 42 destroyers deployed in the war; 0n 12 May 1982, a bomb penetrated her engine room, and, although the bomb failed to detonate, it holed the ship just above the waterline near the stern, port side, and disabled the engines. 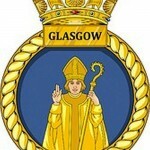 The hole was plugged, and “Glasgow” had to limp back to Portsmouth to be repaired. 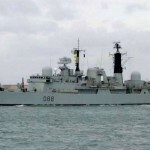 She returned to the Falklands in August 1982, after the war had ended. 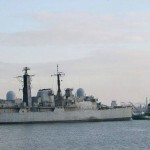 “Glasgow” also saw service in New York and Toronto, and in 1991 was sent to the Persian Gulf, and was part of the NATO showing in the Mediterranean in 1992.Between 19th and 29th September 1999, she was part of the Australian INTERFET peacekeeping taskforce in East Timor, and early in 2004 was deployed on the South Atlantic patrol. 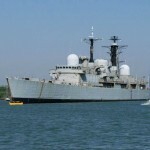 She was decommissioned on 1 February 2005, and spent the following 4 years at Portsmouth until going to Turkey for scrap.